GoPro Quik lets you import and enjoy your GoPro footage and create beautiful videos with just a few clicks. 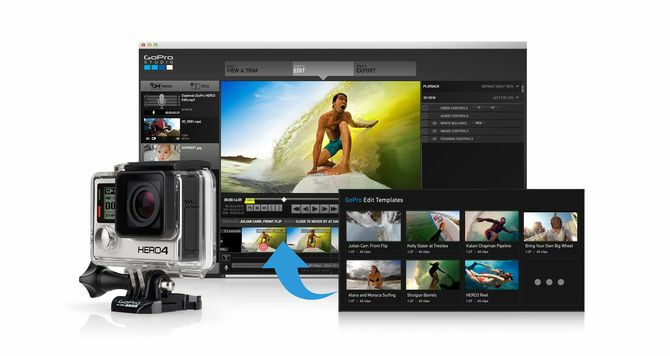 Quik makes it easy to access, edit and enjoy your GoPro photos and videos. Automatically import your footage and create awesome videos synced to music in just a few clicks. And with an optional GoPro Plus subscription, it's even easier to create and share epic videos with Quik. You'll have a huge variety of soundtracks to choose from, and you can auto upload your photos and videos to the cloud to edit and enjoy on your phone - anytime, anywhere. I got a GoPro Hero4 for Christmas. I've been wanting one for awhile so I was surprised by the poor quality of the GoPro Studio software. First of all I will not load any Apple software on my Windows notebook as I've had nothing but issues and had spent too much time trying to repair all the crap Apple forced on me. OK that's strike 1. Strike 2 gave me the only other choice of an .AVI format. Excuse me, the GoPro natively stores it's files as .MP4 so why .AVI. I'm still looking for some good editing software for my GoPro but GoPro Studio is not it.